In 2012, Cam Boudreaux and April Bellow reinvented the po’boy with their restaurant, Killer Po’boys. 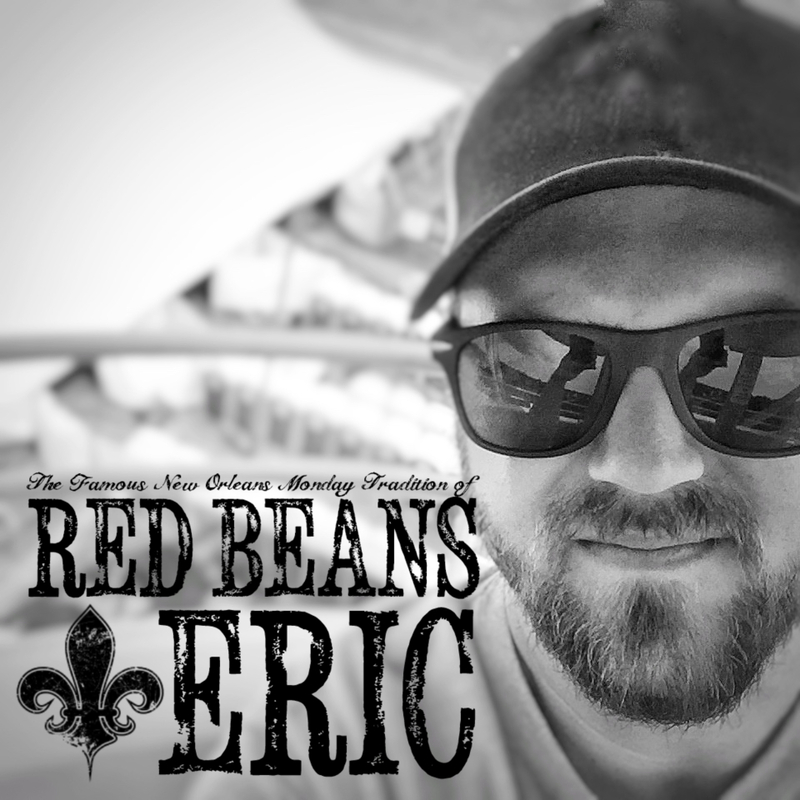 The two native New Orleanians took internationally inspired flavors, combined them with local ingredients, and with their culinary experience, they were able to create something completely out of the box and changed the way po’boys are made. The restaurant’s location is a little out of the box, also. You have to move past the regulars at the small Erin Rose bar, which is located at 811 Conti Street in the French Quarter, and beneath the sign with a skull and two crossed baguettes. There you’ll find either Cam or April working in the small kitchen. The two met while working together at Arnaud’s in the 1990s and have worked in some of the finest restaurants in New Orleans before coming up with the idea for a non-traditional po’boy pop-up. With all their experience and imagination, Cam and April crafted sandwiches you won’t find anywhere else. Instead of serving the traditional fried shrimp, hot sausage or a fall apart tender roast beef po’boy, topped with shredded iceberg lettuce and sliced tomatoes, you’ll find a Sweet Potato Po’boy with a black-eyed peas and pecan spread, pickled shallots and greens. You’ll also find the Seared Gulf Shrimp Po’boy with marinated carrot, daikon, cucumber, herbs, and a sriracha aioli; the Glazed Pork Belly Po’boy with NOLA rum and ginger can syrup, lime slaw and a garlic aioli; Grass-fed Beef Meatloaf Po’boy with bbq sauce, pickles and a house made ranch; Jameson Grilled Cheese with aged cheddar and Jameson on a whole grain bread. Along with the changing daily specials, one of these may become your new ‘traditional‘ po’boy while in New Orleans. The restaurant has been highly acclaimed since it opened. GoNOLA.com compares what Cam and April did with po’boys to what Antoine’s did with Oysters Rockefeller in 1899. It has also been compared to what Central Grocery did with the muffuletta in 1906 as well as what the Martin brother’s did with the original po’boy in 1929. New Orleans Magazine named Killer Po’boys one of the best places to get “cheap eats” in the city. Travel and Leisure said it has the best po’boy in New Orleans ranking the Coriander-Lime Gulf Shrimp Po’boy number one – ahead of all the traditional po’boys! BuzzFeed.com named the Roasted Sweet Potato Po’boy one of the “23 Truly Unbelievable Dishes Only Found In NOLA“. My favorite place to order Red Beans and Rice would probably be Popeye’s Fried Chicken, due to sheer convenience. I remember when I lived uptown, the Balcony bar used to have free red beans on Mondays. That was it for sure. Also, local band, King James and the Special Men, serve an excellent pot of Red Beans and rice at their Monday weekly show at BJ’s bar in the Bywater. Do you put any unique ingredients in your red beans? Dry Camellia brand beans of course. A very unique ingredient that my wife puts in our Red Beans is dried Fenugreek leaf. Shocker. Hot sauce, green onions and when I was growing up, my mom used to serve minced white onions as a garnish on the side. Oh, and bread, French bread if possible, but even corn tortillas will do in a pinch. Carbs for the win! Also, the rice must be served on top. Never ever serve my red beans on top of my rice. Never. 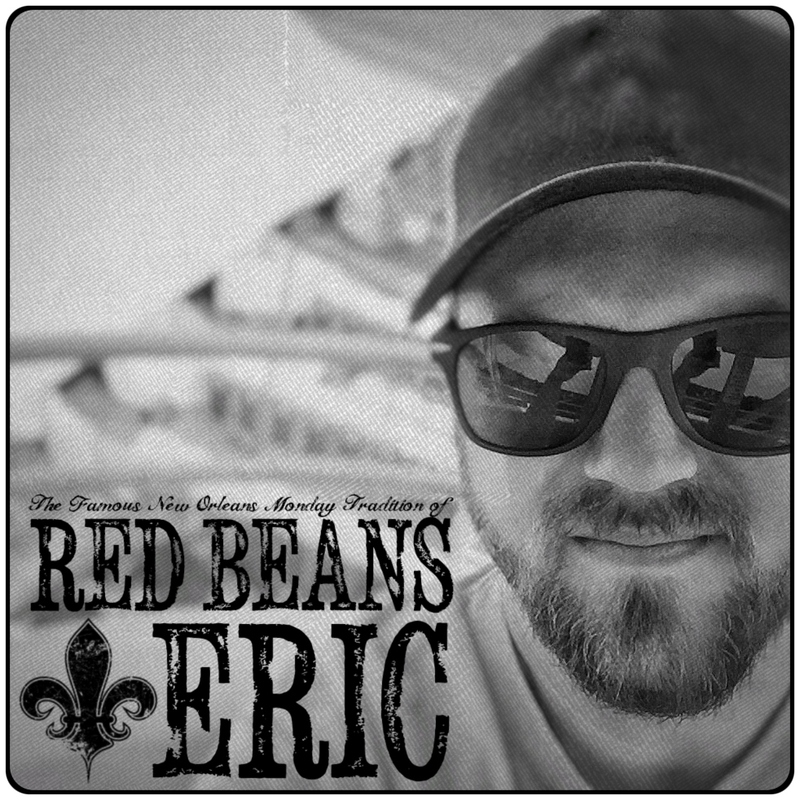 Do you only eat red beans and rice on Mondays? Any old day of the week, we cook ’em in a crock pot overnight so we get to smell ’em cooking all night. We are currently working on having the best year ever at our wee po’boy shop!!! As I mentioned earlier, the original Killer Po’boys is located in the back of the Erin Rose bar, which is located at 811 Conti Street in the French Quarter. It’s a great place to stop in and visit for a drink and meal. They have also opened a bigger second location at 219 Dauphine. For more information on Killer Po’boys and the current menu that they are offering, you can visit their website at KillerPoBoys.com. Be sure to look for them on your favorite social media network for the latest info and pictures. The last time I stopped in and visited Killer Po’boys, I bought one of the great Jolly Roger shirts. I can’t wait to get back there to get a hat. Restaurant shirts are some of my favorite types of souvenirs while I’m in New Orleans. If you can’t make it to Killer Po’boys, they also offer some merchandise online. Just use that above link to visit the online shop.